It must be tough being a tree up here at Kilpisjärvi. Dark, cold and windswept. 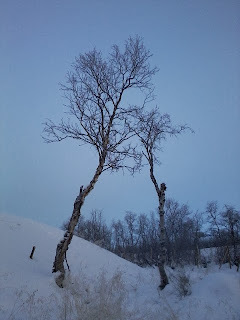 Today's photograph is of a couple of birch trees on the KAIRA site, taken during the midday twilight.